Gone are the days when Black Friday was a simple consumer holiday that started and ended the day after Thanksgiving. Now it's a multi-day marathon. So if you missed out on the biggest shopping day of the year, you’re not alone: some of us have to work on Fridays. Many of our favorite deals on Xbox One games and gear last through the weekend as part of the best Cyber Monday Xbox One deals. 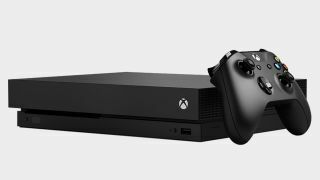 As such, owners – or prospective owners – of Microsoft’s console ought to be on the lookout for savings right now. Some will argue that the Xbox One is lacking in the exclusive games department, but we’d argue it offers one of the best console experiences you can hope for. Third-party games often support high resolutions and frame rates, along with HDR for brighter backlighting and more vivid color. Plus, as has been the case for over 15 years, Xbox Live bears one of the finest online infrastructures for gaming that the world has ever seen. Now let’s take a look at how you can take advantage of the platform’s many benefits for considerably cheaper this season.